Celtic Sea Salt® Brand Fine Ground is dried at a low temperature then finely ground. Celtic Sea Salt® Fine Ground has no additives and is not processed in any way beyond drying and grinding. With a flavor subtler than that of the coarser variety, it is an all-purpose shaker salt convenient for use at the table or in baking. Celtic Sea Salt® Fine Ground is the perfect salt for the novice health buff. Celtic Sea Salt® is authentic whole salt from one of the most pristine coastal regions of France. Hand-harvested and dried by the sun and wind, Celtic Sea Salt® contains no anti-caking or bleaching agents, or other additives of any kind. Celtic Sea Salt® is highly recommended by many health professionals and culinary chefs. With a natural balance of minerals and trace elements, Celtic Sea Salt® is a beneficial addition to most diets. As a natural salt, Celtic Sea Salt® is an important source of sodium chloride, which in small amounts is vital for good health. Unlike ordinary table salts, Celtic Sea Salt® provides potassium, magnesium, and other important nutrients. 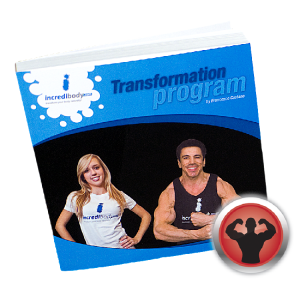 Celtic Sea Salt® also contains a trace amount of iodine, but not enough to meet specific dietary recommendations. 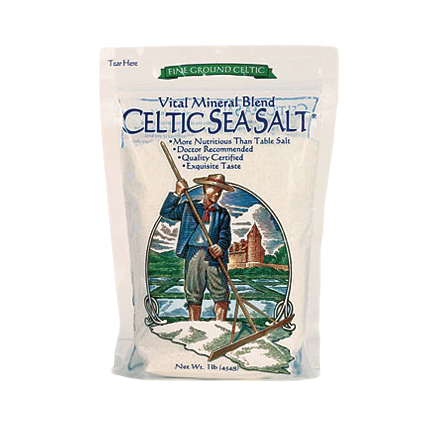 Celtic Sea Salt® imparts a rich, exceptional flavor that enhances the taste of any dish. Use as a replacement for ordinary table salt in cooking or to season dishes before serving. In order to preserve optimal freshness and taste, we recommend that you store Celtic Sea Salt® in a glass, wood or ceramic container with a loose fitting lid. Celtic Sea Salt® is harvested by the Paludiers (salt farmers) of Brittany using a time-honored farming method that preserves the balance of ocean minerals. Each salt harvest is carefully inspected, and the cream of the crop is hand-selected to bear the name of Celtic Sea Salt®. Sea water contains minerals such as sodium, magnesium, calcium, potassium, plus many trace elements such as iron, zinc, and manganese. 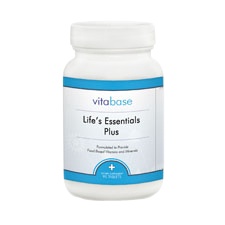 The human body uses the minerals & trace elements in sea salt to create electrolytes, maintaining the “internal ocean” which is vital to the proper functioning of every system in the body. Celtic Sea Salt® is certified at the source by Europe’s Nature et Progrès to be free from pesticides, herbicides and harmful chemicals, and is certified Kosher by the Atlanta Kashruth Commission. Celtic Sea Salt® unrefined sea salts have higher levels of mineral-rich brine and trace elements than competitors. • More nutritious than table salt. • Store in a glass, ceramic or wood container with loose fitting lid.